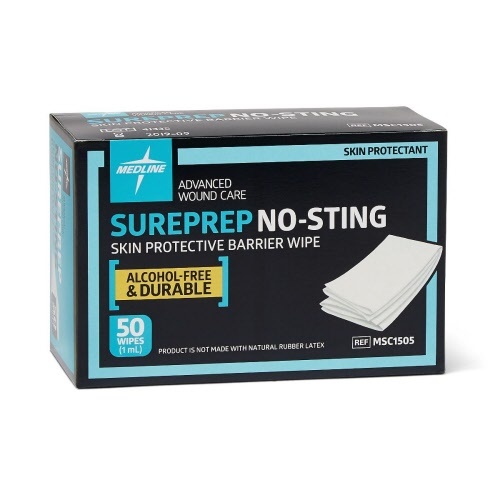 Sureprep® is a fast drying skin protectant. • Vapor permeable and delivers protection from friction and incontinence. • The transparent barrier may be used on periwound, peristomal or areas that come in contact with bodily fluids. • Frequency of application should be at each dressing change or 24-72 hours depending on frequency of incontinence. Powered by ShopFactory to sell P1636 online. All-in one eCommerce and online shopping cart software.